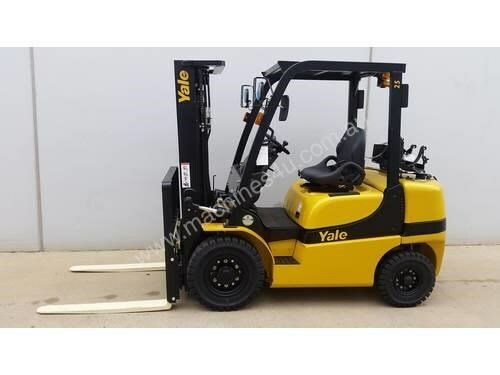 Brand new Yale 2.5T LPG counterbalance forklift. Unit has a maximum lift height of 4,585mm from its 3 stage mast. - Including 4th function and Hosing. - K25 Japanese, EFI engine Speed limiting included. In stock at our Perth WA office. 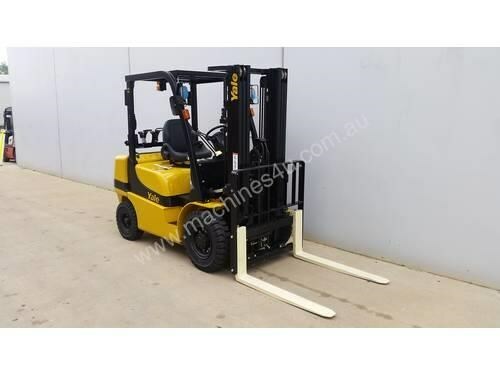 With over 35 years experience in the forklift industry Adaptalift has built a reputation on total commitment to customer service and is widely recognised as an industry leader. Our national network is able to supply both sales and rental of materials handling equipment no matter your task, from simple hand pallet jacks to standard forklifts and big trucks able to handle 40 containers. All customers have access to Adaptalifts industry leading after-sales support including a national fleet of service vehicles able to service customer units on site, an extensive after-market spare parts program known as Rapid Parts alongside genuine Hyster parts. Located in Acacia Ridge, QLD. 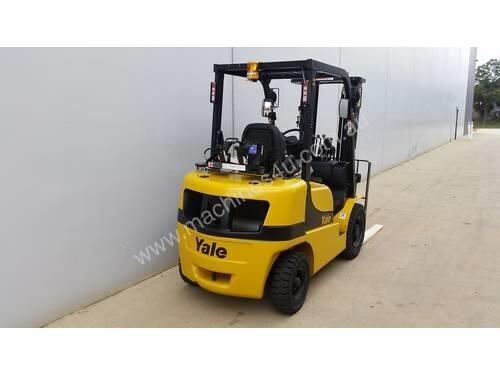 Used Yale 2.5T LPG counterbalance forklift. Unit has a maximum lift height of 3,750mm from its 2 stage mast. Unit is equipped with side-shift fork positioner and solid tyres. Unit was manufactured in 2012 and is in good condition, with 1,912 hours. Unit ID: H14095 About us With over 35 years experience in the forklift industry Adaptalift has built a reputation on total commitment to customer service and is widely recognised as an industry leader. Adaptalift is the largest Australian privately owned forklift company, with a national network of branches able to provide full turnkey materials handling solutions. 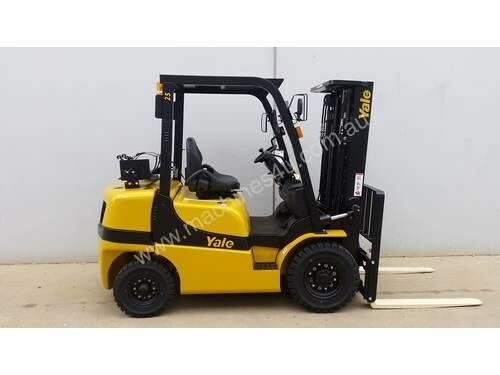 Our national network is able to supply both sales and rental of materials handling equipment no matter your task, from simple hand pallet jacks to standard forklifts and big trucks able to handle 40 containers. All customers have access to Adaptalifts industry leading after-sales support including a national fleet of service vehicles able to service customer units on site, an extensive after-market spare parts program known as Rapid Parts alongside genuine Hyster parts. Terms and conditions apply. Offer valid while stocks last. Offer subject to availability at time of order. Offer may not be available to all geographic locations nationally. We reserve the right to correct errors or omissions.